I thought it had been suggested that Torpoint wanted to go into the East Division? Jack injured or what? Off early! “OUR FA CUP” Timings (TOTAL : 2:17:31m) 01:00 Recapping on some of the week’s events! 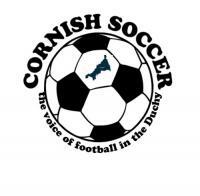 08:07 Neil Slateford 18:20 TCFC_Updates co-hosts Josh & Cam 31:31 “The Bet of the Week” 37:00 Rappo’s Combo review 48:28 Phil Hiscox’s SWPL catch-up 1:04:00 ECPL mention 1:06:19 Steve Abbott-Smith (Illogan RBL’s skipper) 1:19:06 Rob Hosking (Assistant Manager at St Day) 1:35:18 Predictions – after 19 podcasts, Rappo is leading 6-3! 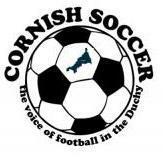 1:46:00 Matt Cusack (Saltash United manager) 2:01:52 Andy Westgarth (Falmouth Town’s manager) 2:13:00 Wrap up with Rappo!